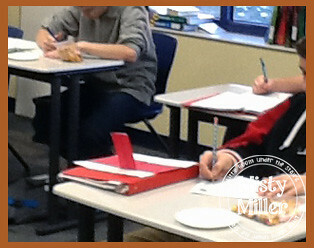 Middle schoolers will eat a snack any time of the day! So once in awhile I like to feed my students. In order to get the food, they have some math to do. 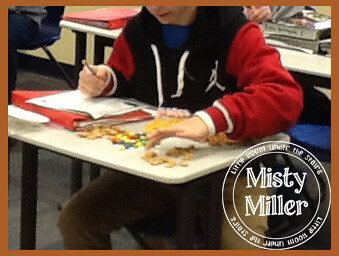 Last fall I made a snack mix and a math activity packet. Be sure to know if you have any students with food allergies! The snack bag for each student included Goldfish crackers, pretzels, Teddy Grahams, M&M's, mini marshmallows, and Cap'n Crunch Sprinkled Donut Cereal. I then made copies of the math sheets for each student. 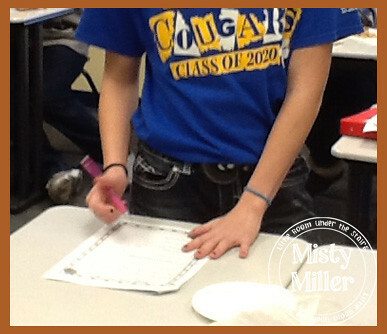 I require the students to count & weigh ALL of their food items before eating anything. Once they've counted and weighed the food, then they can work on the problems as they eat. In my math packet, I chose review math skills for the students to complete. In my Fall Food packet, I included counting and weighing the food, mean/mode/median/range, ordering & comparing decimals, word form & expanded form with decimals, using the four math operations with decimals, writing fractions, using the four math operations with fractions, and word problems. We would usually spend one to two class periods working on the packet. 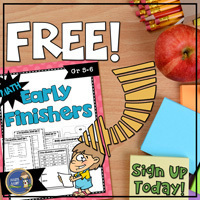 If students didn't finish in that amount of time, the packet was finished during station time. Also, if a student was absent on the first day, I would usually keep a bag of food for them. Sometimes I would have them use someone else's numbers to complete the work. 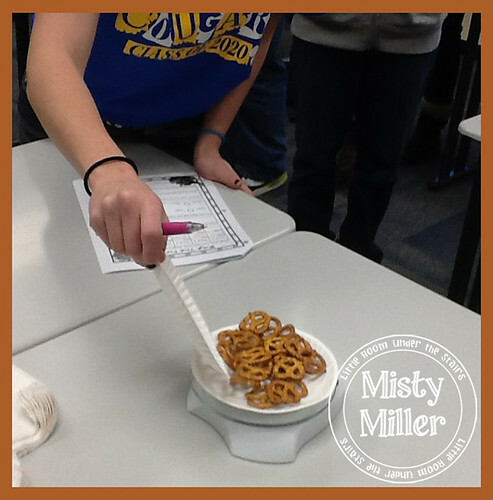 DIY: Decide on a snack mixture for your students. 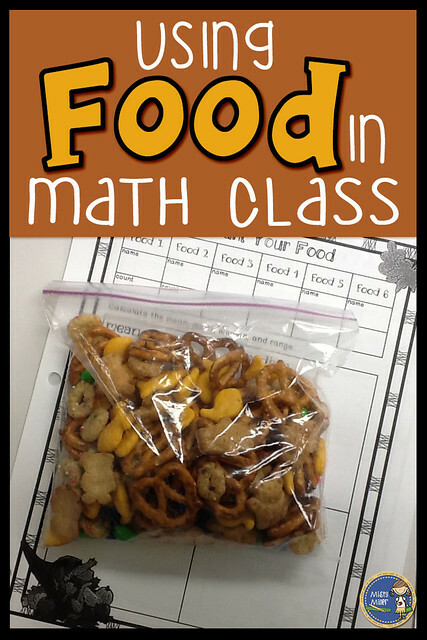 Create some math problems that would involve the snack. These could be using basic operations (multiply food 1 count by food 2 count), creating ratios (what is the ratio of food 3 to food 1), simplifying fractions (create a fraction with food 2 and food 4, simplify the fraction), finding the mean (find the mean of your food counts), and so much more. 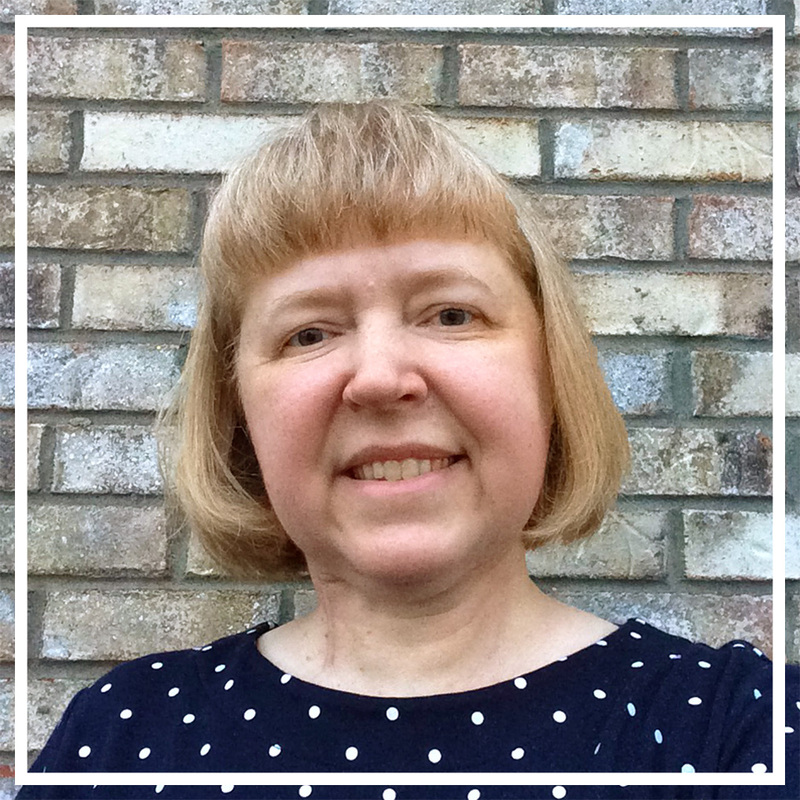 PAID: You can find my Food Fun with Math products here. 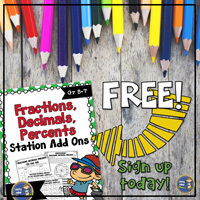 Let you kids enjoy a treat occasionally while they practice some math!